On the one-year anniversary of the tragic plane crash that took 44 lives, including those of almost the entire Lokomotiv Yaroslavl roster and staff, people around the world have been paying their respects. A number of former players, including Wayne Gretzky, Brett Hull and Mark Messier, are in Russia this week to attend a ceremony commemorating the anniversary. But the majority of the tributes have come courtesy of the Twittersphere, where several clubs and players have posted their thoughts on this somber occasion. Jakub Voracek, Philadelphia Flyers, @jachobe: Still in our hearts!!! U r being missed here:(!! Keep looking out for us from above!!#lokomotivjaroslavl!! Jim Slater, Winnipeg Jets, @slaterjim: Thoughts and prayers with all that deceased in the Russian plane crash last year. One in particular to coach Brad McCrimmon who I played 4. Jhonas Enroth, Buffalo Sabres, @JEnroth125: R. I. P. Stefan Liv and Lokomotiv Jaroslav. Gabriel Landeskog, Colorado Avalanche, @GabeLandeskog92: Thoughts go out to players, families and friends affected by the plane crash a year ago. Take nothing for granted. R.I.P Lokomotiv Yaroslavl. St. Louis Blues, @StLouisBlues: Today we remember former #stlblues Pavol Demitra & Igor Korolev, who died one year ago today in the Lokomotiv tragedy. New Jersey Devils, @NHLDevils: A year ago today the hockey world suffered a tragic loss when the #KHL #Lokomotiv plane crashed. Remember them. 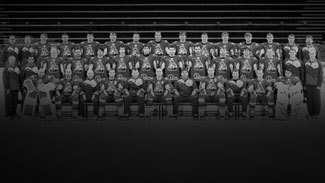 New York Rangers, @thenyrangers: Our Blueshirt family remembers all #Lokomotiv players and their families today. Igor Kravchuk, Former NHLer, @KravchukIgor: It's been a year since "Loko" is gone. Most of us dedicated r small or big wins to them! We remember u all! R.I.P"Lokomotiv". Never forget u!